Tobias wrote a guest post in Paula’s blog on ‘Perspective and Anti-Perspective’ and in the post he briefly mentioned Avant-Garde, which made me remember an article that I read about Avant-Garde photography in the Soviet Union. Instead of creating a perspective/anti-perspective post, I ended up on this weird, geeky, nerdy trail that led me to the Soviet Union’s Avant-Garde photographers. (note to self: this is probably a sign that I need some good head before this is getting out of control). 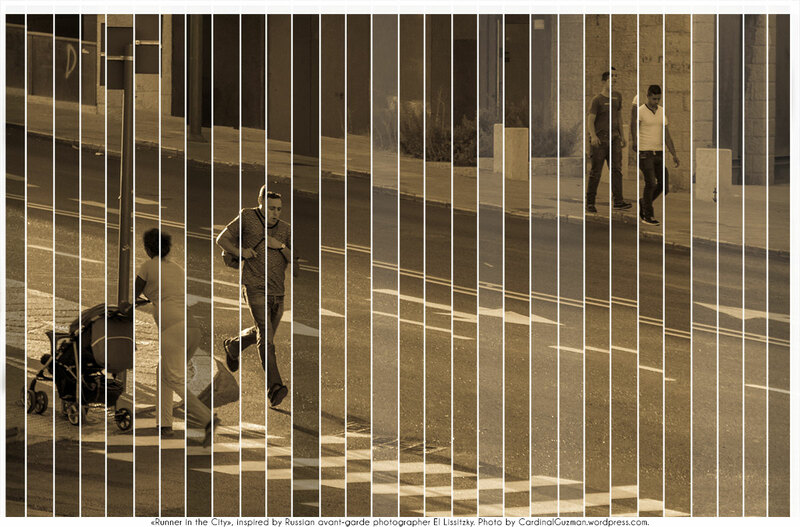 «Runner in the City», inspired by Russian avant-garde photographer El LIssitzky. Photo by CardinalGuzman.wordpress.com. 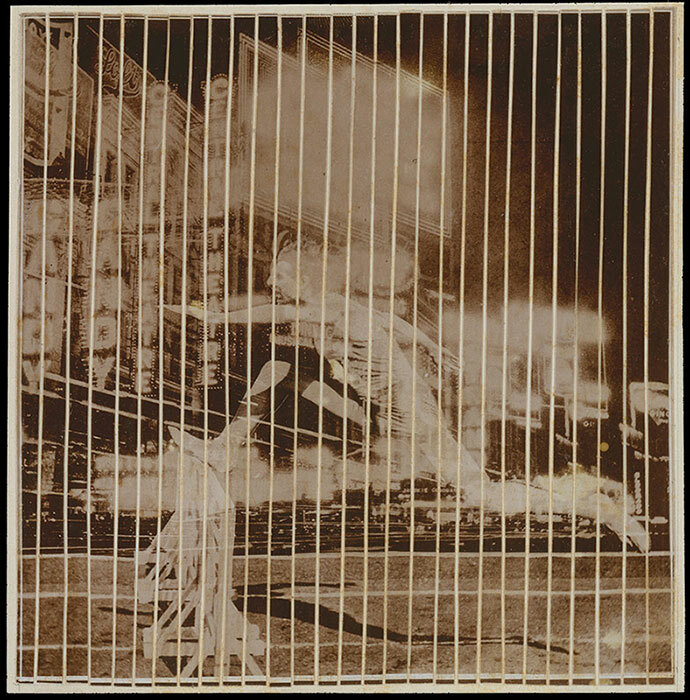 «Runner in the City» is a photo inspired by the Soviet Union era Russian avant-garde photographer El Lissitzky. This entry was posted in Art Photos, Black/White, Sports & Activities, Street Photography and tagged "runner in the city", Black & White Sunday, El Lissitzky, photographers, Russia, Russian artists, Soviet Union. Bookmark the permalink. 🙂 One of the coolest posts by Cardinal Guzman 😀 Hope you’ll visit Tobias’s and my post to hear what you think. Cool pictures. I really like this “stripy” effect. Thanks Rabirius. I might experiment some more with this technique or look further into the Avant-Garde thingy later. This is fantastic!! Love the nerdy trail and the photograph is wonderfully strong and memorable. Will check out the links at some point, but wanted to say how much I really enjoyed this!! Thanks Robyn. I guess it was good that Tobias’ challenge led me down this nerdy trail. I’m glad to hear that you liked the result. I really like the lines in the image, it adds motion to the image yet the image is quite still. Very nice. Thank you Ben. I might do some more experiments with this techique. It was a lot of layers in the end, so the ‘group layers’ function was a helpful tool. Interesting. I will think about this (I am currently trying my hand at lines, too, but employ a different approach). All I can say for now is that I like your picture better than the ‘original’. Kudos! That’s nice to hear tms. I’ll be checking out your lines. Brilliant – very nice update with a pinch of seventies cop show. Seventies cop show, yes you’re right. I like the connection! 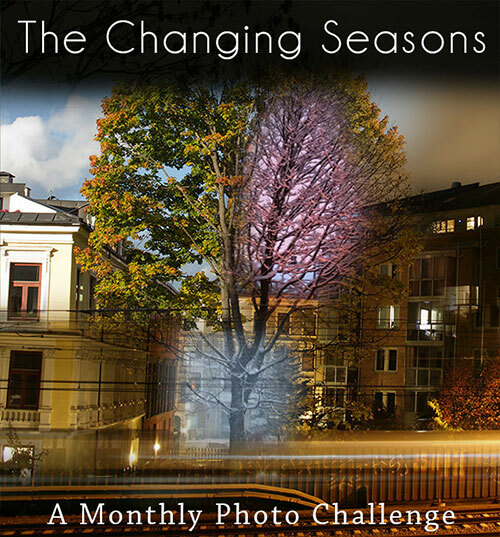 This is interesting try ! This was shot in a city that you probably know very well: Jerusalem. It’s impossible to recognize in this photo, because there’s no signs or buildings that gives any clues on the location, but it was shot in Shlomo ha-Melekh Street, just 50 meters from Tsahal Square.